What do you believe your chances are of becoming a millionaire? Two surveys released in early January 2006 by the Consumer Federation of America (CFA), Washington, D.C., and the Financial Planning Association® (FPA), Denver, reveal that financial planners have more faith in your ability to accumulate personal wealth than you do. Financial planners typically think that more than four-fifths of young Americans could accumulate $250,000 in net wealth over 30 years and about half could accumulate $1 million in the same time. But only about one-quarter of consumers believe they could save even $200,000 at any point, and less than one-tenth believe they could accumulate $1 million. Financial planners have such confidence because they know what it takes to build wealth, and it’s not necessarily investment tips from Warren Buffett, a big inheritance, or even a six-figure salary. The truth is, average Americans who accumulate wealth through work and saving have an attitude and an approach that sets them apart from those who doubt themselves. Their most successful strategies for achieving financial success often have more to do with a wealth-building mind-set and a sensible plan for spending and saving than they do with complex investment schemes or offshore tax shelters. Here are some proven wealth-building strategies that have helped create many millionaires that any motivated individual including you can master. 1. Believe YOU Can Build WEALTH. 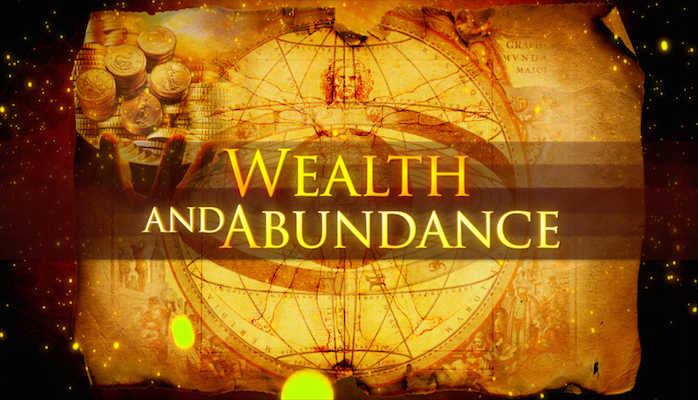 If you think the only way you’ll ever become wealthy is through inheritance or luck, you have company. The CFA/FPA survey of 1,000 adults revealed that more than one-fifth of Americans think winning the lottery is their best chance for accumulating wealth. This pessimism stems largely from the belief that only those who earn huge salaries can accumulate a seven-figure net worth. That theory doesn’t hold water, according to a study conducted a few years ago by Steven Venti, economics professor at Dartmouth College, Hanover, N.H., and David Wise, professor of political economy at Harvard University, Cambridge, Mass. The team reported that income differences alone had little to do with disparities in wealth. Observing that some of the lowest-earning households in the study had managed to accumulate significant wealth, the researchers concluded that most of the disparity was a result of how much the households chose to save. Your financial institution and financial planner has products and services that can get you on the road to riches. Anyone doubting his or her ability to achieve financial security on an average income should consider the story of Genesio Morlacci, who clearly made saving and investing a priority. The former dry cleaning shop owner and part-time janitor amassed enough wealth to leave $2.3 million to a small Montana college in 2004. People who build wealth are optimistic about their ability to achieve their financial goals in spite of an average income or other apparent limits. 2. Begin Today Living The Millionaire Lifestyle. Think you can’t afford to live like a millionaire? The reality is that you can’t afford not to live like one. According to a number of sources, including the bestselling “Millionaire Next Door,” by Dr. Thomas J. Stanley and Dr. William D. Danko, millionaires typically bargain shop for a used car, eschew Rolex watches and other flashy consumer goods, and, generally, avoid the flashy lifestyle that many people associate with the rich. The wealthy live comfortable but not extravagant lives, believing that financial independence is more important than displaying high social status. They consistently spend less than they earn. Real wealth gives you options–for how you work, how much time you spend with your kids, where you travel, and when you retire. Tyson acknowledges that it can be difficult to accumulate wealth because we are a consumption-oriented society. Living modestly when everyone around you is buying the latest, most expensive toys and gadgets presents a challenge for many consumers. Realizing that the next-door neighbor who has all the trappings of wealth might have a high income but not any real wealth can make it easier for you to avoid a keeping-up-with-the-Joneses lifestyle. As those who have achieved financial independence know, wealth is what you accumulate, not what you spend. Regardless of your current net worth, your financial picture can improve only if you spend less and save more–just like a millionaire. 3. Actively Manage Your Money. A study by the Center for Retirement Research at Boston College found that households in which someone thought “a lot” about retirement had twice as much wealth heading into retirement as households in which there was little or no planning. Similarly, research for “The Millionaire Next Door” revealed that more high-wealth accumulators say they spend “a lot” of time planning their financial future, and place the management of their assets before other activities. In this case, “a lot” means 8.4 hours per month, or just about two hours a week. Income differences alone have little to do with disparities in wealth. “You shouldn’t spend your time checking stock prices constantly. That’s just not productive,” says Tyson, who observes that the tendency to incessantly track portfolio performance is more common in our 24/7 news coverage atmosphere. Instead, he suggests spending your hours researching and learning how to invest, even if you hire a financial adviser. “How are you going to make good choices about hiring a professional if you don’t educate yourself [about what to look for and how to judge performance]?” asks Tyson. Investors also will need to spend some time monitoring the performance of their investments and reallocating their portfolio if necessary. If you haven’t done so already, spend a few of your first money management hours calculating your net worth. Your net worth is the value of all your assets minus all your liabilities. It’s the best snapshot of your wealth-building progress. Your net worth work sheet is something you’ll update annually. Some other basic tasks to start with include tracking expenses for one to three months, designing a spending plan (also known as a budget), and writing down your short-, medium-, and long-term financial goals. 4. Become An Investor, Not Just A Saver. Nobody ever accumulated wealth just by saving. To build the kind of wealth that gives you independence and security, you have to be an investor. Putting your savings into things that become more valuable over time, such as securities (stocks and bonds) and real estate has, historically, been the best way to build wealth over the long run. Your net worth is the best snapshot of your wealth-building progress. If you equate investing with insider tips and day-trading (the hyperactive buying and selling of stocks), you might be surprised to learn that investing success is within reach of even newcomers to the market. “Many people have the attitude that only the insiders get wealthy,” says Tyson. While he acknowledges that experience can help, Tyson explains that the people who make money in the stock market buy and hold a diversified portfolio. You can easily achieve that with a good mutual fund having minimal expenses. An advocate of keeping it simple, Tyson cites index funds as good options for investors looking for stock market returns with lower investment expenses and risk relative to individual stocks or specialized mutual funds. Index funds are mutual funds whose investment objective is to achieve the same return as a particular market index, primarily by investing in the stocks of companies that are included in that index. For example, says Tyson, Vanguard, a large mutual fund company, offers index funds that track the entire U.S. stock market—they hold shares of thousands of stocks—that have returned 9% to 10% a year over the long term. Regardless of where you put your savings, your long-term investment strategy should be to achieve adequate growth so that, ultimately, you can live on the income your fortune produces and never have to dip into the principal. That kind of financial security is totally within your grasp if you adopt the strategies of those who have achieved wealth by way of work and wise money management. By shifting your thinking and behavior to that of a wealth-builder, you’ll never again have to trust your fortune to fate. That’s a good thing because, as the research shows, most millionaires rarely, if ever, buy lottery tickets. Wealth is what you accumulate, not what you spend. Ask the staff at your financial institution how they can help you build wealth and achieve financial security. Calculate how much you’ll have to invest to become a millionaire with this Financial institution National Association (CUNA) calculator. If you’re new to investing, start by understanding your risk tolerance–how willing you are to endure volatility (ups and downs) in your portfolio. One example of an online tool is the risk tolerance quiz on Kiplinger’s Web site. Become a knowledgeable investor with the help of Vanguard’s Plain Talk® education materials and tools. The U.S. Securities and Exchange Commission provides investor and consumer information and links through its Financial Facts Tool Kit. For inspiration to change your relationship with money and achieve financial independence, read “Your Money or Your Life.” For the complete nine-step program, including the opportunity to participate in online study groups, visit the Your Money or Your Life Web site. Find out from the people at your financial institution if it offers group budgeting seminars or one-on-one budgeting help.